Irit Dekel earned her PhD in sociology at the New School for Social Research. 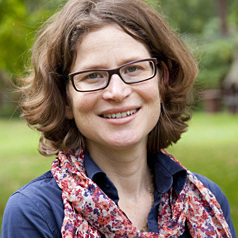 She is a research fellow at the department of Social Sciences, Humboldt University of Berlin where she leads an international research project in cooperation with the Hebrew University of Jerusalem. She studied political transformation at the Holocaust Memorial in Berlin in 2005-6 with the support of DAAD research fellowships and with a Fritz Thyssen Foundation stipend. Her book Mediation at the Holocaust Memorial was based on that research and was published in the summer of 2013 in the Palgrave Macmillan Memory Studies series. Her research project financed by the German Israeli Foundation in 2014-2016 is titled Domesticating Cosmopolitanism: a Comparative Study of Historical Home Museums in Germany and Israel. It asks how personal and history-forming stories intersect and inquire about their reception in historical home museums in Germany and Israel so as to shed light on the construction and circulation of cultural and intercultural knowledge in the public sphere on gender,diversity, national memory and change.